The Bendigo region was in need of a major Speedway complex, only smaller tracks had been in operation prior, Ez Hakin was a Melbourne promotor that managed to secure a lease with the Bendigo Agricultural Show Society for the use of the local Showgrounds, so in 1971 the Golden City International Raceway opened. The venue was a 1/2 mile circuit with all the facilities required, such as Central location to Bendigo, toilets, pit areas, marvellous spectator areas including drive up areas were you could watch the racing from your car, the added atraction to this speedway was the fact it was under lights. 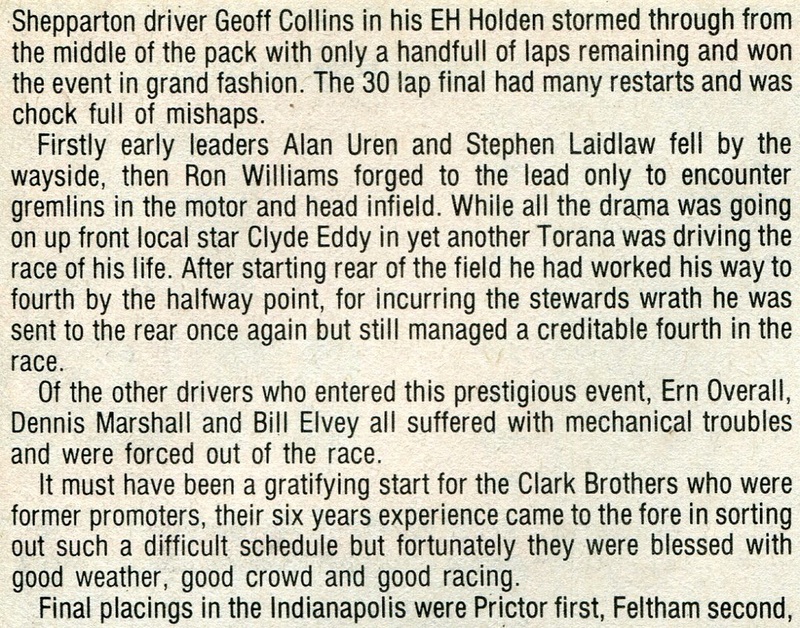 April 1973 and the promotion was taken over by the four Clarke brothers, Gerard, Brian, Pat and Terry, who ran the track successfully for several years changing the name to Bendigo International Raceway, all the time the venue still under the control of the Golden City Speedway Drivers Club under the Presidency of Peter Sheehan. 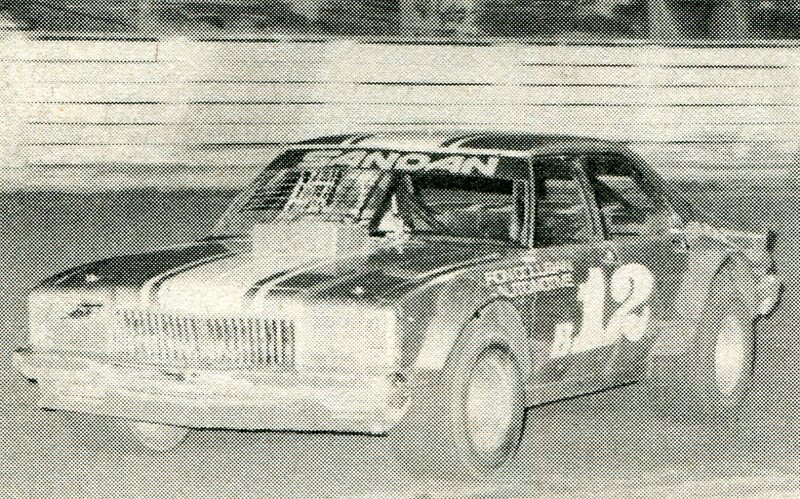 The Clarke brothers continued to promote speedway in Bendigo on a regular basis until 1990 when they decided due to mounting business pressures to accept the offer of a take-over, However, the Clarke brothers departure was breif and they were back in control again for the running of the Indianapolis Stakes of 1981. The "Indy Stakes" was one of the big success stories of the Clarke brothers, offering prizes rarely equalled at the time. 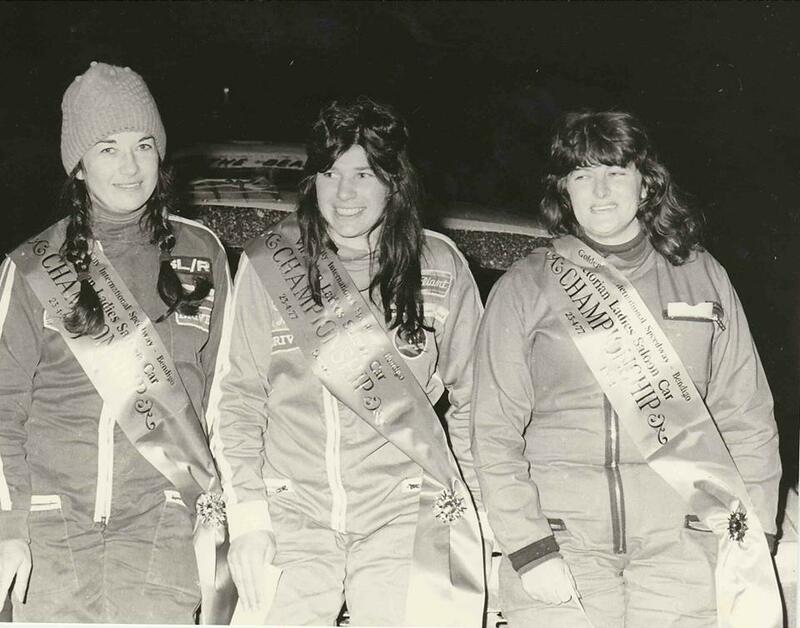 1977 Heather Aurich - June Aurich & Pat Payne after the running of the championship. Photo: Jamie Payne post Aussie Speedway Memories. 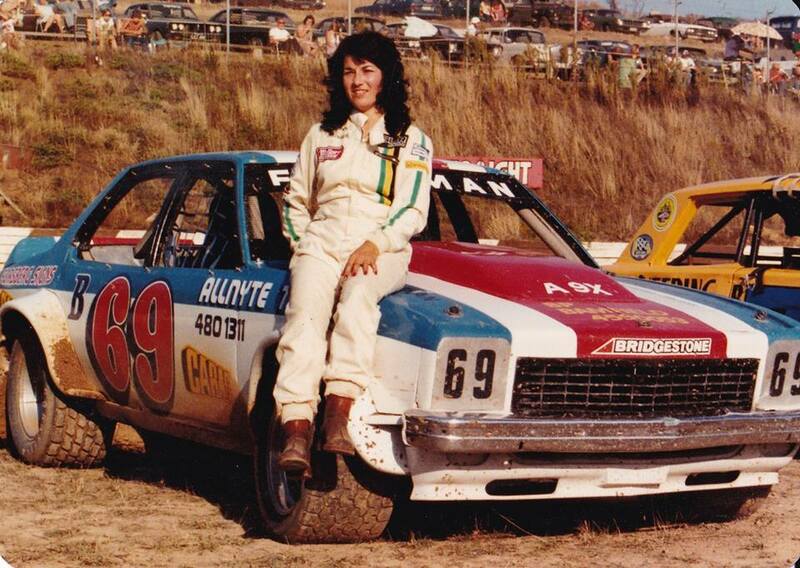 1977 - Heather Aurich winner of the 1977 Australian Womens Saloon Car Championship. Photo: Bill Elvey collection. 1981 - Left to Right: Brian Clarke promoter - Ross Prictor - Les Feltham - Kevin Parkinson - Tony Nicholas. Eventually social pressure and up-grade requirements from the local council forced the closure of what was one of Victoria's premium night speedway venues around the mid 1980's.